The advancement of technology has vastly improved our ability to capture moments in the form of high-quality photos. These days, even smartphones have their own cameras capable of clicking exceptional photos. Compact cameras are one such field in the photographic industry affected by the evolution of smartphones. This has resulted in the availability of budget compact camera models and that is why manufacturers are now putting in the extra effort to make sure that their stable of best fixed-lens cameras is up-to-date and offers a plethora of advanced features to attract the customers. 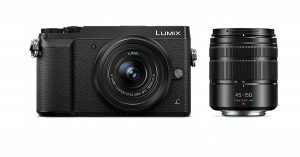 As a result, the compact camera market has changed considerably and there is a massive range of choice available when it comes to the best compact cameras. But when it comes to choosing the best compact camera, customers often get confused and are unsure as to what would be the right pick. While there are many top cameras out there, picking the best compact camera can be a daunting task. This is precisely where we step in to help! We have done our homework for you and with our extensive buying guide, we assure you that you shall make the right choice towards owning one of the best compact cameras on the market right now. SHOW ME THE TOP 10 COMPACT CAMERAS NOW! The compact camera market features a wide range of options that cover everything from the basic models to the best compact cameras for professional photographers. There are a lot of technical jargons that you may not be aware of which end up overwhelming you. This is why making the right choice can often be baffling but we are here for you and have listed down the major factors you should consider paying attention to, so you ultimately end up choosing the best compact camera for yourself. The optical zoom is one of the main reasons to invest in a compact camera instead of the smartphone’s camera so this is an important feature you should look out for. The numbers that appear in the optical zoom indicate the difference in zoom, between the most zoomed out setting and the most zoomed-in setting. To ease your understanding of this, let’s consider an example. If you have a camera with a 10x optical zoom range then it will make an object seem ten times larger than its original size when seen from one end of the zoom range. This is specifically practical in cases where the object in the picture is quite some distance away so without much effort, you can click its picture using the zoom in feature. A zoom of at least 8x is a good number to aim for when choosing the best compact camera. Image stabilization is an important feature that any camera is expected to offer and compact cameras are no exception to that. While taking pictures, especially with compact cameras, we are likely to be holding them in our hands and trying to hold them still. But the thing is that most people find it generally impossible to hold the camera entirely still for a certain length of time. This means the camera keeps swaying slightly now and it is this motion produced by our hand movements that result in blurry images that aren’t sharp. To deal with this, the image stabilization is one such feature that has the ability to compensate for the small hand movements which let us produce sharp images. It’s of instrumental important when taking a shot in lower light conditions where the camera has to use lower shutter speed to let more light in. In this, our hand motions are picked up on the images more evidently. Therefore, it is advisable to check for this feature when making the choice for the best compact camera. The general definition of a camera’s aperture refers to the size of the hole inside the lens through which light passes through. In most cameras, the aperture size is variable so the user has the freedom to change the size of the hole to let more or less light in, depending on the required lighting conditions. When we talk about the best compact cameras, you will often hear the mention of the camera’s aperture rating. The aperture rating is usually denoted as a sequence of two numbers such as f/3.5 – f5.6 where the numbers indicate the maximum aperture at each end of the lens. Compact cameras with prime lenses consist of only one aperture. To put it into simpler words, the best compact camera should ideally have a smaller aperture number which means bigger the actual aperture that ultimately allows more light to pass in the camera. This leads to improved image quality, a particularly significant feature in low light conditions which makes wider apertures a desirable aspect. The sensor inside the camera is the modern-day equivalent of a piece of film which is responsible for the recording and saving of the light as an image. The span of the image sensor is directly proportional to the quality of the image produced by the camera and is thereby an essential factor. The best compact cameras have large sensors that come in handy in low light conditions to produce images with particularly shallow depth of field. For a long period of time, most compact cameras had similarly sized smaller sensors, but lately, the 1-inch sensor cameras have started to become more popular that offer improved image quality and better low-light performance. Though, these cameras do tend to become a bit heavier to move around. RAW is basically a file format that describes how the camera saves the image data. It is essentially an uncompressed and unaltered version of the more common JPEG file format. But unlike JPEG files, which can be used and shared directly, this is not the case with the RAW files. In order to open them, they need to be fed and edited in a software program such as Lightroom in order to create a usable image. If you want to gain more control over your photographic process, you would want to invest in a camera that not only offers manual controls but offers a RAW mode too. Manual controls mean that you are at liberty to adjust the settings of the camera, the shutter speed, aperture size, and light sensitivity (ISO) all by yourself. So if you are looking to making your own tweaks in your camera then you might consider wanting this feature. It is completely fine if you don’t see yourself using either of these features right now. You may just be on the lookout for a simple compact camera with which you can produce usable images. If that is the case then you don’t have to worry about paying extra for the RAW mode. However, if you believe that in the future you may desire greater control over your camera, then you will be better off investing in a camera that has a RAW mode. Compact cameras usually are only used to capture photos but these days, the best compact cameras come with the feature of video support. This can be used as a comparing feature to check which camera is the better one if the picture quality is similar. The resolution of the display is a feature worth checking out. In general terms, higher the resolution, better is the picture sharpness and quality. 720p is usually the lowest resolution available with the majority of the compact cameras offering 1080p. The best compact cameras offer high-resolution 4K support which is right at the top. Video shooting is quite demanding so buying a camera with fast image processing hardware is recommended which allows you to shoot at higher resolutions like 1080p and 4K. If you have more than an interest in video recording, then you should look for those models where you can control the audio recording and possibly even a microphone input. This will help you in capturing better-quality audio than what the camera’s microphones can manage. 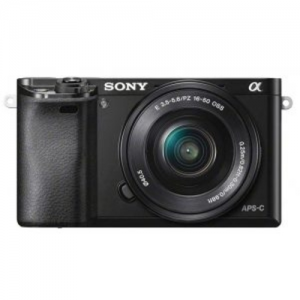 Many of the best compact cameras in this guide consist of the feature of WiFi connectivity. It is a convenient feature that allows you to remotely control the camera. You can copy pictures from the camera to your smartphone or computer for easy wireless image sharing. There is also no need to use any type of camera cable or remove the memory card also. NFC (Near-Field Communications) is another technology that many compact cameras are equipped with. It is a very short range wireless transmission technology that makes it easy to connect two or more NFC-enabled devices together, such as pairing your phone to your camera. This is a handy feature to have but definitely not a necessity so there’s no need to worry if the camera you have eyes on does not have this feature. The battery life of a compact camera is a significant feature to consider but often overlooked. It surely would be disappointing if your camera dies down after taking only a handful of photos. The battery life is rated by the number of shots the camera is able to take under “average” conditions, although the details of these conditions are often a little vague. Therefore, we are going to provide correct information about this based on reliable online reviews from real people. This will enable us to know of any reported battery problems in certain cameras. 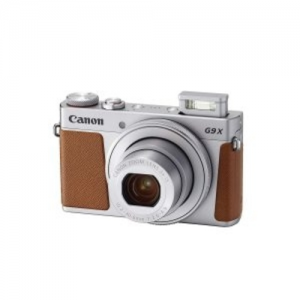 The recommended number of shots expected in the best compact camera is around 300 shots or more per charge. Although, one must keep in mind the fact that those big touch screens and additional features can drain batteries rapidly. The solution to this is to buy extra batteries so let the battery limitations be a deal breaker if you are not impressed by this feature. The burst rate of a compact camera, also known as continuous shooting or continuous frame rate, refers to the number of pictures the camera can click if you set it on burst mode. Burst mode is often used for capturing the right moment when shooting action scenes. Just like video shooting, the image burst shooting characteristic requires high-end camera hardware. This can be used to judge the quality of a camera’s hardware as the hardware is top-notch if the camera has a high burst rate. For the majority of users, this feature is not that important but it can certainly be nice to have a better burst rate. If you are confronted with an object that is moving across your field of view and you wish to capture it, there is a simple technique that can be used to capture very sharp images which would otherwise be not possible. The trick here is to swing the camera to follow the movement of the object instead of holding it still to find the best time to focus on its movement as it flashes by. This technique is very advantageous since it allows for a longer shutter time to be used than would otherwise be the case. This, in turn, implies that you will be able to set a lower ISO value even under low-level lighting which produces a very pleasing effect in its own right and has an added bonus in the form of a reduction in the shutter lag. For those who are not familiar with the technical aspects, shutter lag refers to the delay between the shutter button is fully pressed down and the picture being taken. The best pocket cameras have sensors that sense the low lighting conditions and accordingly activate the flash unit. This is a useful place to start when selecting flash exposures that are ‘smart’ enough to know when there is insufficient brightness or the lighting is too bright. To get a better idea, let us consider an example. In cases where the ambient lighting is essential for the look of an image then using flash will ruin the picture. The camera will pick this up through its sensors and change the flash settings suitably. 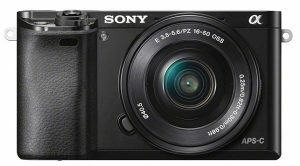 The Sony Alpha 6000 is a super-compact mirrorless camera that packs the qualities observed in a DSLR, even though it’s half the size and weight of the DSLR. What’s more surprising is that this camera has the same 24.3 Megapixels APS-C image sensor as any DSLR, given its small size. The interchangeable lenses and E-mount system make the Alpha 6000 more versatile than almost any other camera on the market. Thanks in part to the 179-point phase-detect AF (Auto Focus) system spread broadly across the frame, it’s particularly capable at tracking moving subjects; with its 11fps burst shooting speed helping you to capture the decisive moment. The 1.44million-dot OLED electronic viewfinder and the 3-inch tilting, 921K dot LCD screen enable you to monitor your high-quality images easily. The maximum video resolution is 1080p which gives quite a cinematic feel to your content while the simplified Wi-Fi and NFC feature round things off nicely. The Sony Alpha 6000 packs a punch and is quite easy to use too. Crucial moments pass by in a blink, and this camera will help you capture them. The Canon PowerShot G9 X Mark II is one of the best pocket cameras around. It combines an ultra-slim design with high-performing features to give incredible image quality and easy portability. Packing a powerful 1.0-inch, 20.1 MP CMOS sensor, it is powered by the DIGIC 7 Image Processor for fast operation. However, the pocketable dimensions come at a price in the form of relatively short focal-length zoom lenses of f/2-4.9. It also features built-in Bluetooth and NFC connectivity to pair up the camera with a smartphone/tablet for easy sharing of data. The 3-inch, 1040K dot LCD monitor is designed for easy operability which allows you to make adjustments even when clicking a photo. A full HD resolution gives the videos lifelike clarity, which lets you enjoy the scenic views to the fullest. Priced at just under $430, this camera is our pick for the best pocket camera 2019. 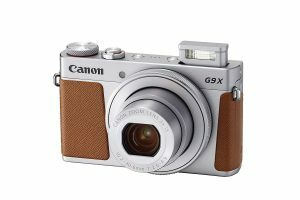 Conclusively, if you are looking for a camera that churns out images of superior quality and desire to capture the precious times of your life in a stylishly remarkable way, then the Canon PowerShot G9 X Mark II should be your pick. If you are seeking exquisite image quality and creative freedom packed together, the Sony RX100 would be the perfect choice for you. 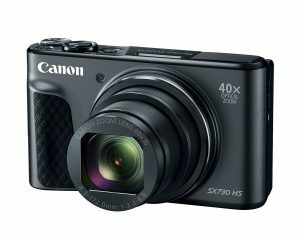 It boasts of a specially developed 1-inch Exmor CMOS sensor that captures more light to reproduce each stunning detail. This allows the user to record fast-moving objects in the darkest of settings with amazing clarity. The wide range of ISO settings from 125 to 6400 lets you shoot in almost any type of lighting conditions with the Auto ISO mode determining the most appropriate setting on its own. You can have complete creative control with a variety of modes at your disposal. These include modes like Aperture Priority, Shutter Priority, Manual etc that help you refine your skills. When shooting in the RAW format, you can save your pictures as compact JPEG files or ultra high-quality RAW files. This mode takes the image capturing technique to the next level. This camera lets you shoot gorgeous full HD videos at a high frame rate of 60 fps. 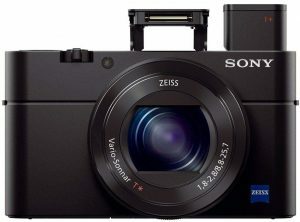 The Sony RX100 is priced just under $370, and after analyzing the customer reviews, we have concluded that this camera has been well-received and can prove to be good value for your money. Panasonic was one of the earliest brands to begin the trend of making the best compact cameras that are specifically designed for travelers and those heading out on holidays. It is one of the most highly regarded cameras of this genre. 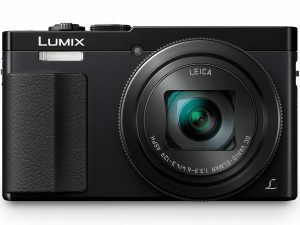 Panasonic actually changed things a little bit when designing this camera by deviating from the norm of ever-increasing pixel counts to reducing the number of pixels to 12MP in the Lumix ZS50 and it’s all the better for it. With fewer pixels crammed on the sensor, the noise levels are greatly reduced and the overall image quality is better. Another unique selling point for this camera is High Sensitivity MOS sensor and Venus Engine image processor that lets you capture more detail and less image noise, even in low light conditions. The Live View Finder (LVF) feature is perfect for image framing, especially when light conditions make it difficult to use the LED screen. The eye sensor automatically detects when this happens so switches to the LVF accordingly. The high 1.166k-dot resolution, with approximately 100% color reproduction, produces stable framing and superb visibility. It is capable of capturing High Definition recordings at 100fps so you can enjoy smooth high-resolution playback on your device. 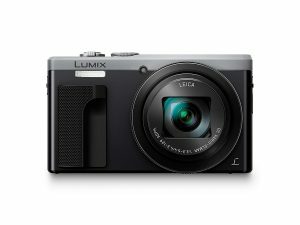 Priced at just under $400, the Panasonic Lumix ZS50 broadens your horizons in greater detail with its wide range imaging features so you can capture stunning photos. The Sony RX100 III is a great option that offers stunning picture quality and is compact enough to take anywhere you go. Unlike other compact cameras, the RX100 III consists of a viewfinder which is an electronic device that shows the impact of any changes in settings you make. This makes composing images much easier in very bright lighting conditions when the main screen at the back of the camera is hard to see. The 3-inch and 1229K-dot main screen can be tilted up to a maximum of 180 degrees. This makes it effortless to capture selfies and even shoot overhead. The RX100 III has a 1-inch, 20.1MP Exmor R CMOS image sensor reduces noise levels so you can peacefully capture mesmerizing night landscapes. There lies a control ring wrapped around the lens that makes it very convenient for the user to adjust various features ranging from the basics such as zooming to creative functions like Picture Effect. The ring turns quite seamlessly, allowing click-free usage when shooting movies. The WiFi and NFC features make connecting the camera with your smartphone simple and easy. All users need is touch devices where a single touch executes the connecting process. No complex set-up is required that makes life easy for users. The large aperture throughout the focal length range increases the usability of the camera in relatively low lighting conditions without pushing up the sensitivity level. This allows you to restrict depth of field when you want to. All in all, this camera has an abundance of features and is one of the best pocket cameras for enthusiastic photographers. 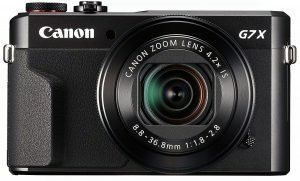 Canon’s PowerShot G series was introduced with the majority of the compacts serving as a great alternative to DSLRs, based on size and weight. The G7 Mark II is an exciting combination of exhilarating speed and performance in a compact design. Fueled by the 1-inch 20.1MP CMOS sensor and DIGIC 7 image processor, you can click pictures in incredible quality with this camera. The continuous shooting mode allows you to capture action shots at a burst rate of 8fps. Continuous shooting is also available in RAW, JPEG and RAW+JPEG modes so you can preserve your moment the way you want. The high resolution, 3-inch LCD monitor can be tilted upwards by a maximum of 180 degrees and downwards by 45 degrees which enables you to shoot pictures at creative angles. The touch panel is intuitively framed and can be operated with all the settings on the screen can be changed by a single touch. To add more creativity to your photos, there are 8 different picture styles to choose from so you can fine-tune your work the way you like. The built-in wireless connectivity such as Wifi and NFC make it really convenient for you to be capable of sharing photos and videos with your friends and family. All you shall need is a compatible device to pair your camera with and you are good to go. However, even with all the fancy features, not everyone can afford this with it being priced just under $650. The ZS60 is a utilitarian type of camera that can just squeeze into the back pocket of your jeans. This camera packs a host of practical and useful features. The 30x optical zoom and the capability of shooting 4K Ultra HD videos for you to be able to record all your travel memories in stunning detail. The camera incorporates an 18MP high sensitivity MOS sensor that allows you to capture the finest details of your travels. Owing to the Lumix DMC ZS60’s exceptional low light performance, it delivers crisp, clear and natural results with minimal noise which is the best thing a photographer could ask for. The sensor complements a powerful Venus engine that has the purpose of reproducing breathtaking colors, accurate to the composition seen through the lens. If you’re looking to hone your photographic skills, the Lumix DMC ZS60 provides extensive and easy-to-use manual settings. The Control Ring around the lens gives smooth control of manual settings such as zoom, aperture and shutter speed. A 3-inch 1040k-dot touch screen makes navigating menus very easy so you can select your preferred setting effortlessly, with bright sunlight posing no problems now. Fujifilm is a brand that always strives to achieve perfection and they have certainly scaled new heights with the X100F. It features the X-Trans CMOS III sensor that is specifically designed to use an aperiodic color filter array to erase the necessity of an optical low-pass filter. The 24.3MP APS-C sensor controls the noise levels beautifully, despite its increased pixel count. The new built-in ISO Dial allows you to instantaneously move the focus area without having to take your eye off the viewfinder so you can get the perfect image. This camera also features a Focus Lever that can move in 8 directions. It enables you to quickly move your Auto Focus point selection while maintaining the composition of the frame. The number of focal points has also been increased from 49 to 91. The Advanced Hybrid Viewfinder is a combination of the features of an optical viewfinder (OVF) and electronic viewfinder (EVF). This feature enables us to easily take advantage of Focus Peaking and Digital Split Image functions in the OVF mode for accurate focusing in real time. 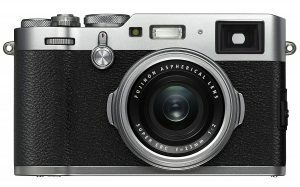 The X100F also offers a total of 6 AF modes such as single point, zone, wide etc. This lends the user plenty of options to find a mode that best suits a scene. When shooting with the aperture left wide open in bright lighting conditions or while using slow shutter speed, the 3-stop ND filter is the feature you should use. It will reduce the amount of light by ⅛ and can be activated easily from the camera menu. The one negative point of this camera is that it is priced at under $1300 which is quite expensive. Also, some knowledge about cameras and photography is required to make good use of the X100F. 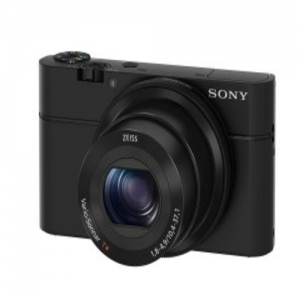 This camera offers the photographers the versatility of endless creativity and is quite an exquisite model; which is why it makes for the top pick of the best compact camera 2019 in the market today. The Panasonic Lumix GX85 is the type of compact camera that places the capability to take stunning, professional photos right on the palm of your hands. It sports 4K video that is exploited in a number of cunning modes. For increased image stability, Panasonic’s Depth-From-Defocus (DFD) Auto Focus technology instantly calculates subject distance and then drives the focus mechanism with one continuous movement for faster AF speeds. The combination of the 16MP Digital Live MOS Sensor and Venus Engine renders clear images with minimum noise, applicable also in low-light situations. This allows one to shoot true-to-life images with high resolution, high contrast, and impressive color. For custom development of your images, the RAW mode can easily be used in-camera with a wide range of adjustments including color space, exposure, white balance, contrast, highlight and shadow, saturation, noise reduction, sharpness, intelligent resolution and more. For all shooting situations, there are a total of 27 (and counting) lens available to the user, including the prestigious LEICA lens. The Live Viewfinder with the 2764K dot resolution makes for easier framing, even in bright sunlight. The 4K video is accompanied by the 4K Photo and Post Focus technology so that you never have to worry about missing out on the perfect moment. This camera is priced just under $600 which may seem expensive but the amazing features are worth the money. If the action is happening right out of your reach, no worries as the Canon PowerShot SX730 HS is equipped with a massive and powerful 40x zoom that allows you to capture objects at a great distance. The Zoom Framing Assist function lets you take shots of epic moments by using longer focal lengths. The compact size of the PowerShot SX730 HS means you can fit it in a pocket, always ready to capture the action whenever it happens. Traits like the large grip on the front and back of the camera, along with the textured surface and slip-resistant shape makes it feel very comfortable in yo hand. The battery life allows for 250 shots and around fifty minutes of video shooting. The PowerShot SX730 HS comes equipped with a 20.3 MP CMOS sensor and the DIGIC 6 processor that delivers powerful imaging performance and is optimized for use in only the best compact cameras. It is also incredibly fast which ensures the image data is rapidly captured with fast continuous shooting and autofocus. It can shoot beautiful and lifelike videos due to the 1080p full HD display with selectable frame rates available to match different situations. Self Portrait mode can help you click the perfect selfie on the 3-inch, tiltable LCD screen. You can even customize the picture with the Smooth Skin mode to make yourself look simply stunning. The SX730 HS is also affordable, obtainable at just under $380. The customer reviews are generally positive, with the majority of people being pleased with the working of the camera. However, there are some glitches too. One of the most common types of camera in today’s world is probably the smartphone’s camera. As phones evolve, the quality of the camera also keeps improving which enables users to click high-definition photos. Also using the smartphone’s camera doesn’t require any additional purchase or gear. Therefore, smartphone cameras can be deemed as one of the best portable cameras right now that are used by a diverse and broad proportion of people. 8) They are an excellent choice for situations where there exist potential chances of damage to the more expensive cameras during activities like hiking, climbing, skiing, boating, backpacking or a camping trip. A compact camera is pretty easy to operate. All you have to do is turn it on, set it to the automatic mode or one of the required scene modes and start taking pictures. The best compact cameras have the autofocus feature and automatic exposure settings which produces quality and some beautiful images. Compact cameras come equipped with a wide variety of scene mode settings. All you have to do is choose the type of the scene you will be taking pictures in, and the camera will automatically set the proper exposure for that particular scene. The best small cameras have different amounts and types of scene modes will vary from camera to camera. Some of the most common scene modes you will find in almost any compact camera are landscape, portrait, close up, panoramic, sports, fireworks, and beach/snow. This mode is specially designed to enable you to click detailed and highly focused close up pictures of an object. The most common practical use of this mode is observed when clicking close-ups of flowers. They are the most popular subject for this mode, but other small objects can also be used. When you are snapping photos, you should make sure that your camera’s resolution settings are set as high as possible to capture the best quality images, without interpolating them. There is no need to compromise on the quality by downsizing them to save space. There are memory cards available which are pretty inexpensive and are a great solution to low memory problems. The best small cameras on the market offer the user two types of zoom, optical and digital. In most cases, though, it is advisable to go into the camera settings and disable the digital zoom, since it has been observed to debase the image quality on photographs and videos. If you are low on memory space on your camera, don’t be tempted to try to reduce the image size. Most of the cameras will allow you to create smaller-sized images by increasing the photo compression but not before compromising on the photo’s quality. Compressing pictures are known to often introduce digital artifacts and aberrations into the image which is not something you want. In most cases, it is best to avoid using the highest ISO settings usually anything higher than ISO 3200 on your compact camera as it will generally create grainy, noisy images or video clips. On the off-chance that you happen to utilize an extremely high ISO setting, say for a photo shoot, don’t forget to set your camera to Auto ISO setting before the next shoot to avoid any negative impact on the images. To get a comparative overview of their capabilities, it is imperative to test the cameras under similar conditions for each model. To .t the testing process started, we left the cameras on their default settings. Then, to get an estimate of exposure accuracy, we used the cameras on Auto mode/Program Auto mode and, whenever possible, on one of the semi-manual modes (aperture-priority and shutter-priority modes) using various ISO settings depending on the conditions. During this testing, we kept taking notes on the camera’s speed and overall performance. We carried most of our test shots outdoors which gave us the opportunity to see how well the LCDs performed under bright sunlight. Then, in addition to shooting some quick video clips, we also tried to check out at least one of each camera’s special creative options to gauge the functionality and the impact it has on the camera’s working. To get more out of your equipment, it is ideal that you first understand the various features, modes, and buttons that it offers. Fully understanding your camera will enable you to make the best use of it. Whilst the idea behind the compact is to make your photography life easier, every camera model has a variety of features that can help you take your photography game to the next level, albeit you should be aware of them. This is why we suggest going through the manual that comes along when you purchase a camera. You could also try looking online for information about your particular camera model in case you have any queries. It is also important that you understand how to enable and disable features on your camera whenever the situation calls for it. For example, there are often restrictions on the use of flash photography in museums that house valuable art and rare artifacts which can be damaged by light. The flash settings are often set as automatic on compact cameras so you should know how to disable it and abide by the rules. It is a common misconception that the better the camera, the better the photo will be. This is untrue. According to professional photographers, the know-how of composing a great photo is very significant. Just owning the best pocket camera does not necessarily guarantee good results, even with the plethora of features on offer. The art of photography composition plays a huge role in this and provides an understanding to the user of what makes a good photo, how to place the subjects in the frame and the right usage of ideas such as the rule of thirds, color, and leading lines. Usually what happens in the case of compacts is that, especially if you are shooting in JPG format, the images will look good straight out of the camera. However, it can always prove to be useful to learn some basic photo editing techniques so you can easily edit your photos the way you like. You can make edits like cropping images, straightening photos, fixing red eyes, adjusting the lighting, and so on. The lighting conditions play a very important role in photography. Photography is the art of capturing the light to click the perfect photo but not all light is the same and gives the desired effects. For example, the light seen around sunset and sunrise is generally softer and warmer which results in more pleasing images. In stark contrast to this, the light in the middle of the day is usually a bit harsher and less flattering. Identifying the right time to click pictures in the right lighting is an art and every photographer aims to get their timing correct. This results in better photos with more color and pop. 1. How to Use the Panning feature? ● To implement this technique, you have to anticipate the object’s position at the moment you press the shutter button. ● If your camera has an Auto Focus Lock feature, you should half-press the shutter button while aiming the camera at the position where you assume the object will be. ● Apply partial pressure on the shutter button and then twist your body towards the direction from which the object is approaching. ● As the object comes into view, place it in the center of the camera’s viewfinder and turn your body in such a way as to always keep the object central as it crosses your field of view. ● When the object is right dead-ahead, apply full pressure to the shutter button to capture the picture. It is important that you keep turning your body and try to keep the object as central as possible in the viewfinder screen, even after the picture is taken. The reason for this is that it will give the best final result since a sudden halt to your twisting can jerk the camera which can cause image blurring. 2. Will I Need any Extra Camera Accessories? ● Additional batteries and memory cards. To make sure that you use your camera all day while out traveling, you will want to keep a few spare memory cards and batteries in handy. To get the best performance out of your memory card, without having to replace it a lot, it is advised to get a larger and faster one. Also keep in mind that in cold weather, batteries will drain faster so pack your supplies accordingly. ● A camera case to store your camera and protect it when not in use. This is an essential accessory to have if you travel a lot. The protective case should ideally easily fit in your backpack/purse and be sturdy enough to protect your camera and any other accessories. ● If you want to enhance your photography skills, you might want to consider buying a tripod. A tripod can help you keep the camera steady in one place, enabling you to shoot in low light conditions and capture better photos. Although the weight of the tripod is a factor you may want to consider. A bulky tripod is never ideal for traveling. What you can do is get a foldable mini-tripod that can fit into your backpack. 3. Is it Worth Taking a Photography Course? When it comes to photography, people think of a camera in their hands and clicking away. This is however not the case. Photography is very much a skill that can be mastered from practice and training. But not everyone finds it easy and sometimes they need external help to improve – in the form of a photography class or workshop. They allow you to learn at your own pace while you receive personalized feedback. The course teaches you everything you need to know about taking better photos with a whole lesson dedicated on doing that by using a compact camera. Regardless, you can try to improve your photography by practicing regularly. You might want to keep your camera on hand, rather than dusting it off only during a vacation or while capturing a special event. Simply owning the best compact camera won’t take your photography skills to the next level. Instead of just hoping to get that perfect shot by chance, you may want to work on developing an understanding of photography and then practicing your technique which – according to us – is the best way to improve. This buyers guide is aimed at providing the necessary and accurate information that helps you choose the best compact camera. 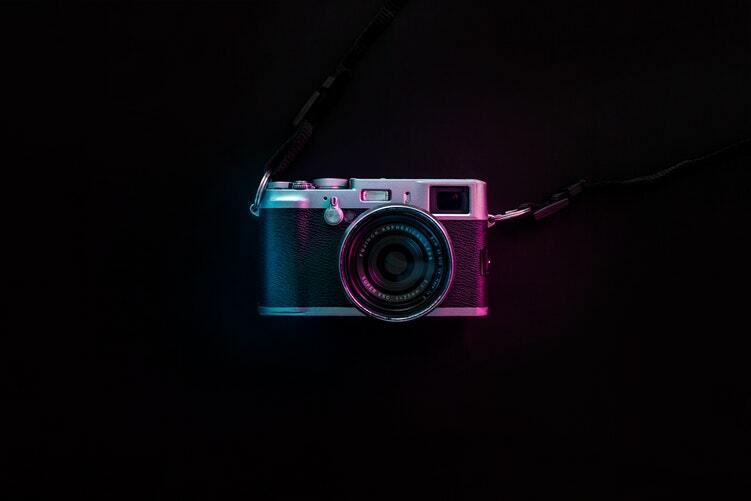 After analyzing tons of customers reviews, we have come to the conclusion that the Fujifilm X100F is the best compact camera 2019 you can get with a plethora of useful features that turn you into a better photographer. The Canon PowerShot G9 X Mark II is our pick for the best pocket camera 2019 with its compact size and a powerful processor; making it a no-brainer. We hope this guide has helped you in making the right decision.